Martin Shkreli, the convicted securities fraudster, insufferable troll, and so-called “Pharma Bro” widely loathed for jacking up the price of anti-parasitic drug Daraprim, bought the Wu-Tang clan’s single-copy album Once Upon a Time in Shaolin in 2015, impressively making himself even more widely loathed. It’s possible yet the public will get to hear that album, as the Department of Justice is demanding Shkreli fork it over as part of a $7.36 million forfeiture, CNBC reported on Friday. Prosecutors wrote in a letter to Judge Kiyo Matsumoto that the $7.36 million “represents a conservative computation of the proceeds Shkreli personally obtained as a result of his three different securities fraud crimes of conviction,” CNBC reported. That tally was to be secured from $5 million in an E*Trade account that was used as security on Shkreli’s bond, with prosecutors listing the Wu-Tang album as well as various shares in companies, “the Lil Wayne album Tha Carter V; an Enigma machine, and a Picasso painting” as possible other sources of the remaining funds. 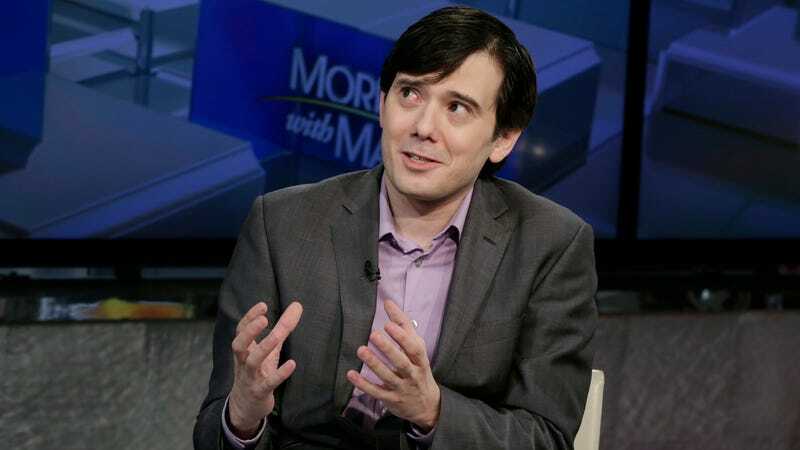 Shkreli bought the album for $2 million, but was later unable to sell it on Ebay even as bids went past $1 million. However, Shkreli is not exactly a sympathetic defendant. In September, he got himself thrown in jail ahead of schedule for offering $5,000 to anyone willing to rip out a lock of former presidential candidate Hillary Clinton’s hair during her book tour. He’s continued to insist he will make money from prison, though that prospect seems unlikely, and could face as many as 20 years in jail when he goes to sentencing in January. Once Upon a Time in Shaolin may ultimately end up spending some time in government custody as well, though it’s possible it could see the light of day sooner than its former owner. Per TechDirt, if the once-remote possibility of the album being seized by the government actually comes to fruition, it’s possible it could end up on the federal GSA Auctions website for sale. However, whether or not the eventual owner could acquire the intellectual property rights to the album and release it is less clear. Hey, at least it won’t belong to Shkreli anymore.